Now for the first time, the complete expose of the most daring and successful forgery of all time. For seven days in April 1983, the sensational discovery of Hitler's sixty-two volumes of secret diaries dominated the news headlines of the world. Scholars hailed the diaries as the greatest find of the century, a historical bonanza that would entirely alter our views of Hitler and the Third Reich. Shocked readers followed daily installments showing that Hitler knew nothing about the Holocaust. Then, in an abrupt reversal, the diaries were proved to be bogus! 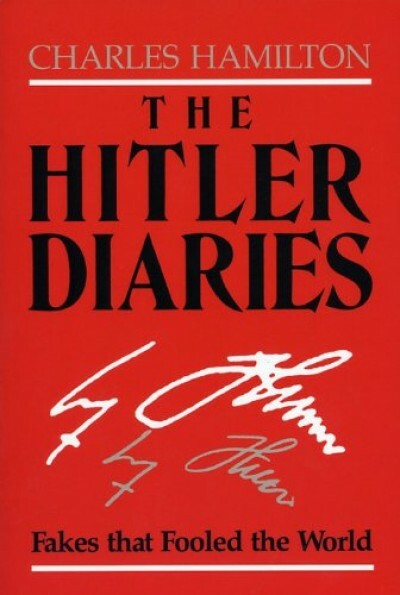 One of the postwar period's most flamboyant historical scandals was the forgery of the so-called "Hitler Diaries." The acceptance of these fakes as genuine by prominent journalists and historians, the publicity surrounding their publication in news magazines in West Germany and the United States, and the unraveling of the fraud perpetrated by their author, a sleazy dealer in pseudo-Nazi relics, rocked West Germany in the mid-1980s and resounded in journalistic and historical establishments elsewhere. Unfortunately, this book is for the most part awkwardly written, self-opinionated, and superficial. Hamilton, a handwriting expert, barely touches on such fascinating subjects as the market in Nazi relics and its seamy underside and his own involvement as a critic of the manuscripts' authenticity. Instead, he makes sweeping and mostly undocumented generalizations about the personalities involved. This book may appeal to World War II buffs, but for most libraries Robert Harris's Selling Hitler ( LJ 5/15/86), a more detailed and interesting account, is a better buy.